A new shared-space residential project by Vornado and WeWork, approved in July by the county board, will be Arlington, Virginia’s first micro-unit project, and could be priced affordably. 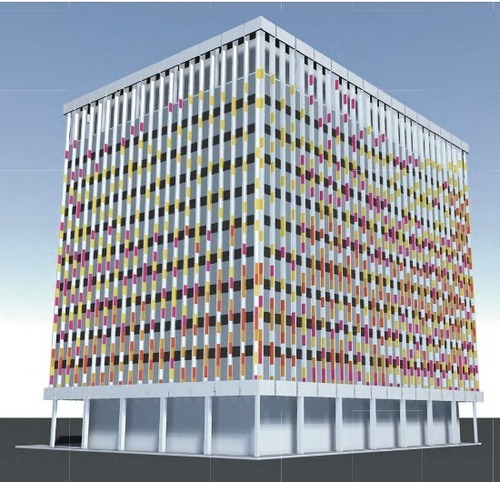 The Crystal City project will be a temporary revamp of the vacant Crystal Plaza 6 office building at 2221 South Clark Street, which is scheduled to be redeveloped by 2050. In the interim, real-estate firm Vornado will spend $40 million on the renovation, with a mid-2015 completion date. WeWork, a New York-based coworking office provider, has signed a 20-year lease on the building. Coworking, a communal office environment in which people from different companies commingle, network, and collaborate, is a trend that has quickly transformed the commercial real-estate sector. 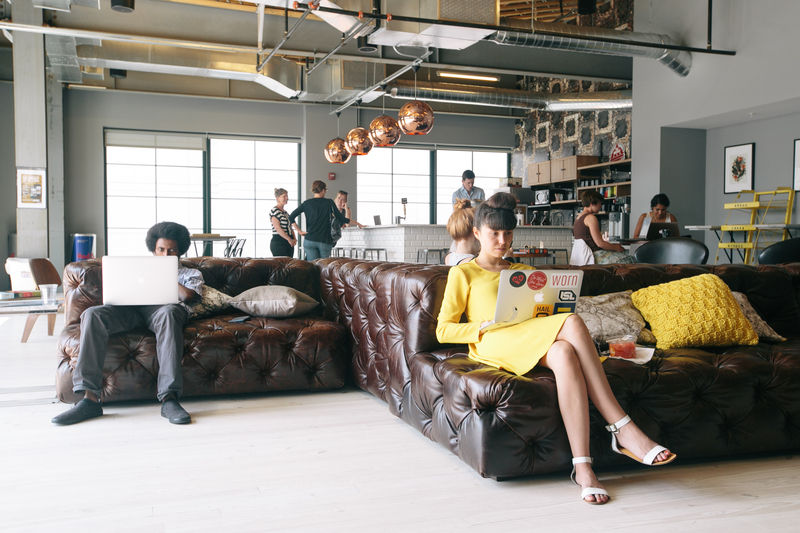 Experts say coworking signifies structural changes occurring in America’s workforce. Coworking companies are largely located in the urban core, reliant on the vibrancy, walkability and transit options of these areas to lure a hip and influential clientele. The Crystal City project – dubbed “WeLive” by those familiar with it – will be WeWork’s first foray into the residential market, with a similar project planned for the SoHo neighborhood of New York City. 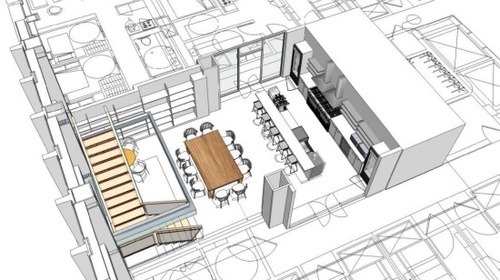 WeLive will consist of small apartments centered around a two-story-tall common living area. Apartments will contain a bedroom and bathroom, but kitchens and living areas will be communal. The project will likely emphasize the cutting-edge design and amenities that have distinguished WeWork’s co-working spaces. With many units between 300 and 360 square feet or less, WeLive will be Arlington County’s first micro-apartment project, located within walking distance of the Crystal City Metro Station, several bus stops and Capital Bikeshare stations. WeWork has not yet established rents for the WeLive project, but the Washington Business Journal has reported that WeWork’s lease from Vornado is a low $24.77 per square foot. Additionally, since building small is an effective way to achieve lower rents, there are hopes within the industry that WeLive rents may increase the stock of affordable housing in the county. Mary Rouleau, executive director of the Alliance for Housing Solutions, has lobbied for micro-units in Arlington to help ease its affordability problems. More than one person interviewed about the WeWork project used the term “experimental” to describe the housing concept, with its decidedly dorm-like feel. “It will be interesting to see who is going to live there,” said Angela Fox of the Crystal City Business Improvement District. Arlington Board Chairman Jay Fisette has stated that he believes the project will appeal to “entrepreneurs and tech workers.” Fisette’s comment makes sense, as by all accounts Crystal City is attempting to transform itself into a tech hub. Federal spending cuts continue to affect the entire region, and no Arlington district was as affected as Crystal City by the Pentagon’s Base Realignment and Closure (BRAC) plan, which resulted in a mass exodus of military personnel and contractors from the county. Crystal City’s office vacancy rate was at 21.9 percent in the second quarter of 2014. Demonstrating that every problem really is an opportunity, Crystal City has been performing a dramatic about-face, repositioning itself as a magnet for growth tech companies, and engaging in placemaking to transform its streets into vibrant, walkable destinations. The WeWork project is made possible, of course, by Arlington’s status as an urban center, its unique positioning relative to Washington D.C., and its world-class transportation options. Also, with Millennials continuing to call the county their de facto ground zero, Crystal City seems like the logical proving ground for this interesting new idea. Splash photo and story photo courtesy WeWork. Architectural renderings by Vornado.